We currently use fossil fuels such as coal, petroleum and natural gas along with nuclear power to satisfy the energy requirements of our highly technology-oriented society. Fossil fuels are a limited resource, which should primarily be used as raw materials. Many problems still remain to be solved regarding the use of nuclear fission reactions to generate electrical power. On the other hand, while the world population continues to increase, our consumption of energy continues to increase in line with it. In this situation, it is universally acknowledged that the development of a new, sustainable energy source is the most important task that we face. Mankind has used sunlight, an energy source derived from nuclear fusion, in daily life from the beginning of time. If the nuclear fusion that occurs in the sun can be replicated on earth, it will be possible to turn the heavy hydrogen that is available in abundance in seawater into a powerful, permanent, permanent source of energy. Research into nuclear fusion is already being actively conducted in many countries throughout the world, and remarkable result have been achieved in the effort to the produce and control high-temperature plasmas. Although we are now at the stage where we can see the clear prospect of realizing a nuclear fusion reactor from a scientific standpoint, there are still many problems to be solved before a commercial reactor can be constructed. 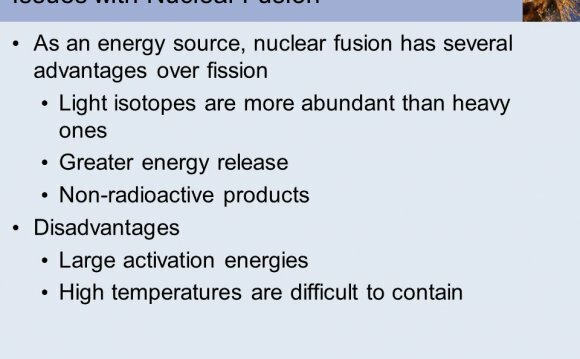 At the National Institute for Nuclear Fusion we are activity working to solve these problems and are conducting basic research to make prospect of building a nuclear fusion reactor become a reality in the future.